One thing I love about JEM is her obsession with nail polish, if we ever want to buy a new Barry M or Models Own nail polish we always check with the other as to whether we have it or not. Baby pinks are not one of those colours I am that fond of, however after seeing pastal shades on loads of your blogs I decided to give this a whirl. Luckily I could call on JEM to borrow this summery shade off. 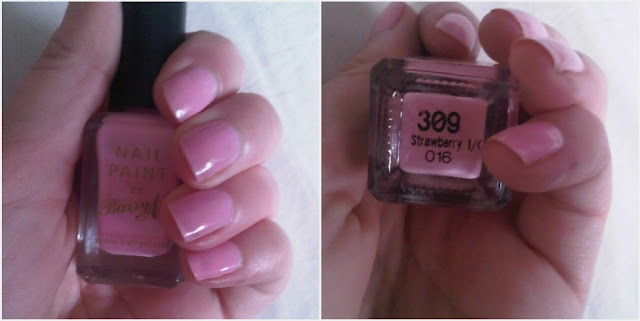 Barry M Strawberry Ice Cream. On these pictures I have used two coats, and I am in love with the colour. As raisin face would say "its to DIE for". Like all Barry M colours 2 coats is more than enough, and it drys super quick. 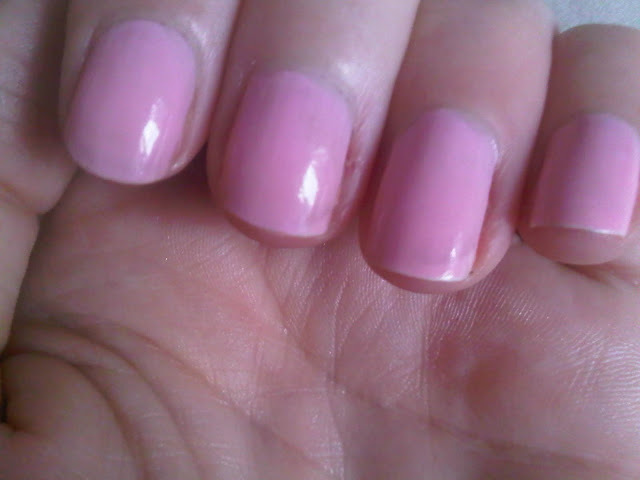 However one thing which I do not like about pastel nail polishes from Barry M is how streaky the polish is. Check out my middle finger- how streaky is this. Also one of my pet hates (which you can see on my ring finger) is when you can see the whites of your nail through a polish. However another coat of polish will easily rectify this problem. I do like this colour, however I don't think I will purchase it myself- I'll just pinch JEM's. Another bonus of this polish is its work friendly. Speaking of JEM she will be making a return to the blog in the not so distant future. gorgeous colour - although I do agree with you that barry m's stuff is a bit streaky! love your blog! super cute!